Not so fast, Meredith Corp. Three weeks after magazine publisher and TV station owner Media General Inc. announced a $2.4 billion merger, Nexstar Broadcasting Group Inc. has swooped in with an unsolicited offer for Media General. Nexstar's $4.1 billion cash, stock and debt proposal sweetens the deal for Media General's shareholders. Nexstar chairman and CEO Perry Sook is offering $14.50 a share for the company, a 30 percent premium over Media General's closing price on Friday. "The transaction we are proposing would be a transformational event for both Nexstar and Media General shareholders and would deliver superior, immediate and long-term value to Media General's shareholders compared with Media General's proposed acquisition of Meredith," said Sook in a statement. "Our proposal would also enable Nexstar and Media General shareholders to participate in the near- and long-term upside of a pure-play broadcasting company with expanded audience reach, a more diversified portfolio, and a significantly stronger financial profile, including substantial free cash flow per share, led by a proven broadcast and digital media management team." As it looks to torpedo the Meredith-Media General deal, Nexstar noted that its proposal would allow Media General to avoid a return to publishing, as Meredith owns several magazines, including Better Homes and Gardens, Shape, Parents, and Family Circle. Media General, which began as a newspaper company, sold most of its print publications to Berkshire Hathaway in 2012. Late last year, Media General finalized a merger with LIN Media, giving the company a 23 percent reach of U.S. TV households. "Given the compelling strategic and financial value of a combination, it is illogical that Media General's Board has refused to engage with us and has instead pursued an ill-conceived and value-destructive acquisition of Meredith that would once again expose Media General shareholders to the risks of the low-margin publishing business," said Sook. Given Media General's refusal to engage it in talks, Nexstar is hoping Media General's shareholders will pressure the board to pick them over Meredith. 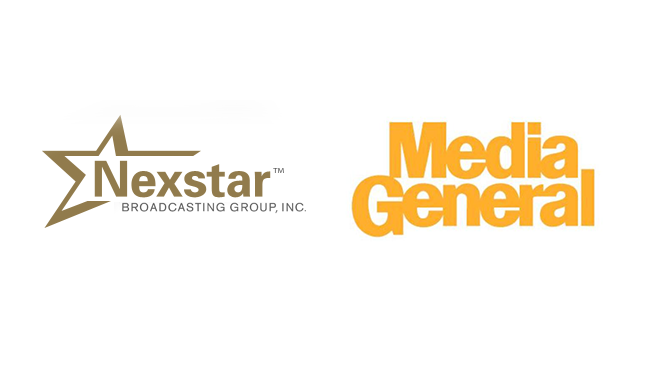 Nexstar said a Media General acquisition would result in 162 stations in 99 markets, reaching 39 percent of American households. Nexstar currently owns and operates 107 stations in 58 markets. If the original deal goes through, Meredith Media General would be the third-largest owner of network affiliates, reaching approximately 30 percent of U.S. homes, with 88 stations in 54 markets.